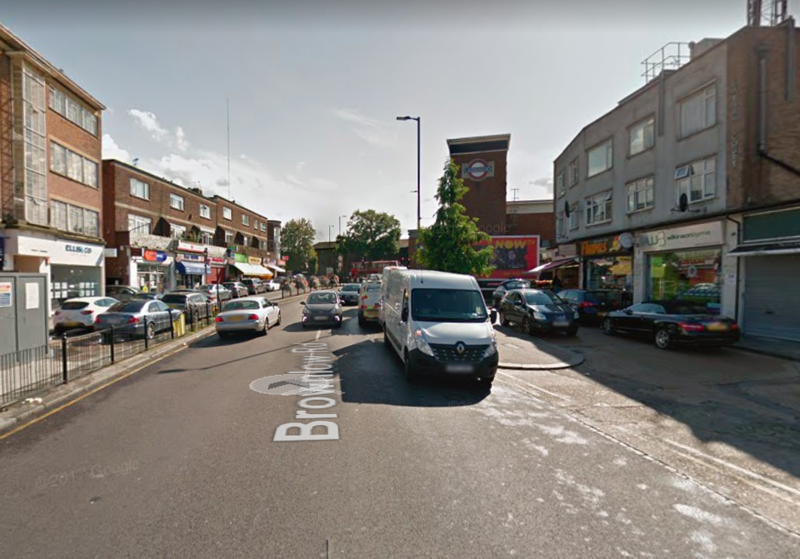 As Better Streets for Enfield, one area of the borough has been on our radar for a while as a place blighted by traffic problems: Bowes ward, particularly Warwick and Brownlow Roads. Being bounded on two sides by the North Circular (A406) doesn’t make for a pleasant neighbourhood, especially if A406 traffic uses your road as a shortcut. Understandably, Warwick Road residents are furious. They asked the council to introduce a ban on right-hand turns from Warwick Road onto the North Circular, to make it less attractive as a cut-through. But this was met with anger from Brownlow Road residents, who feared yet more traffic on their already congested street as a result. The whole situation has turned into an intractable problem for residents, with streets seemingly at war, for their ward councillors and for the council itself. Meanwhile, a possible solution has been presenting itself in our neighbouring borough of Waltham Forest. 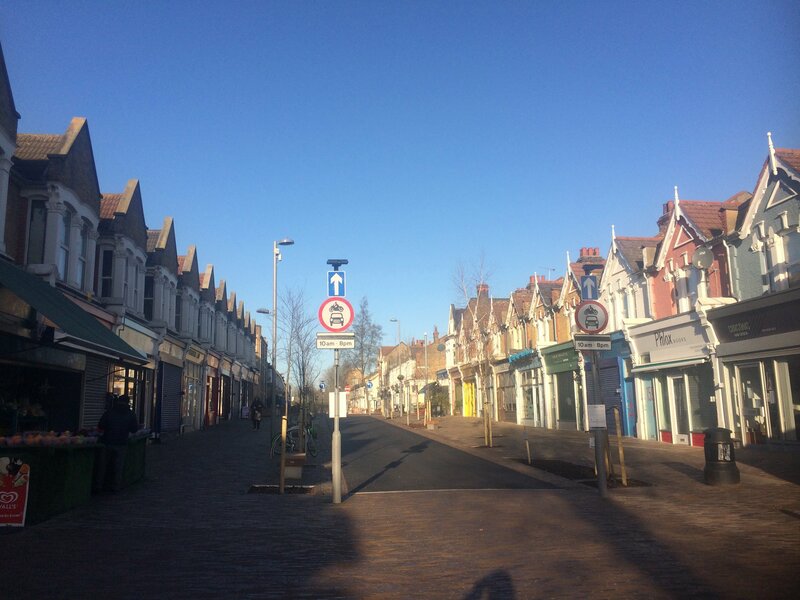 As part of its Mini Holland, Waltham Forest has taken an area-wide – not street by street – approach to reducing traffic in certain residential areas. Its low-traffic neighbourhoods (LTNs) are designed so that no street allows traffic through the neighbourhood from one side to the other, while still retaining access by car to every property. Through traffic is kept where it belongs: on the main roads. Two high streets running through Waltham Forest’s low-traffic neighbourhoods have also received this treatment. Orford Road E17 is car-free from 10am to 10pm, allowing only buses and bikes along its length; Francis Road E11 was a B-road until a few months ago but is now traffic-free from 10am to 8pm. Both used to be clogged with cars, vans and lorries, whether stationary or moving; both are now pleasant streets where people of all ages walk or stand in the middle of the road or sit at pavement cafés; the loudest noise you tend to hear is a child laughing. What a vision to offer hope for Brownlow Road. Brownlow Road N11. Could it be a healthy street where people of all ages walk, cycle and use public transport, rather than one dominated by cars? 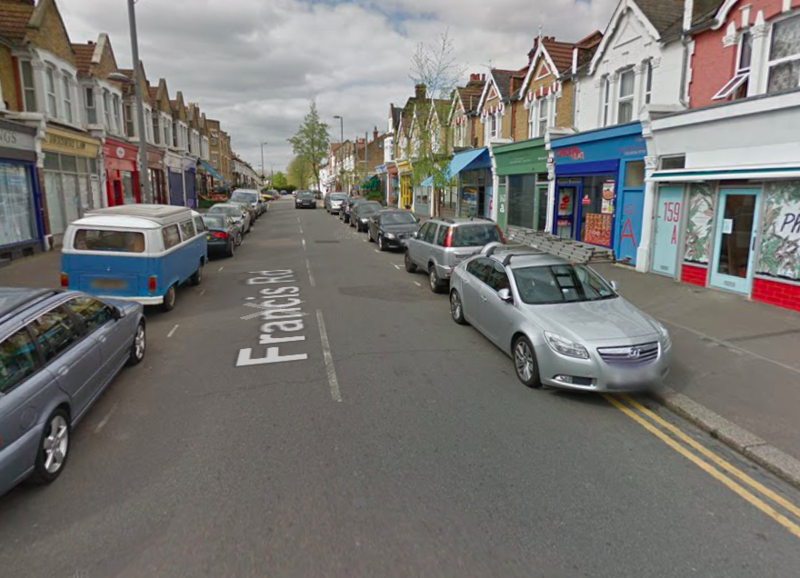 So as Better Streets, with some egging on by Enfield Green Party, we (Clare Rogers and Hal Haines) presented the idea of a low-traffic neighbourhood to Bowes ward forum in January this year. Wouldn’t an area-wide approach, restricting through traffic to the surrounding main roads that ought to be carrying it, be something that residents could unite to support? 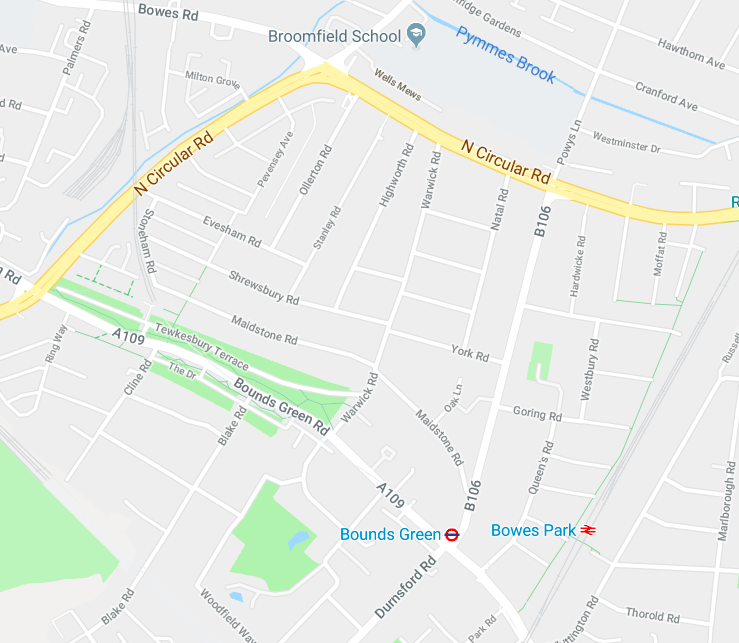 Brownlow Road could have a timed restriction to allow only buses and bikes for most of the day, turning it into an exemplary ‘healthy street’ at a stroke – a street that prioritises walking, cycling and public transport (including Bounds Green underground station at its southern end). Bus journeys would be more efficient. Residential streets could be protected from rat running with strategic bollards and planters (‘modal filters’) that allow bikes through but effectively create cul-de-sacs for cars. With only residents and their visitors driving in and out of the area, Warwick Road would be safe enough for a child to play on. We have to be realistic, of course. This is not an area earmarked for Enfield’s Mini Holland funds, and the council is not currently planning to bid for the new version of Mini Holland, Liveable Neighbourhoods, for Bowes either. It’s complicated by the fact that the Enfield-Haringey boundary runs through what we would propose as the whole low-traffic neighbourhood, an area bounded by the A406, Bounds Green Road and the A105. Haringey would need to be on board. And finally, Transport for London would need to be convinced. A common fear about low-traffic neighbourhoods is that surrounding main roads would become gridlocked. Evidence from Waltham Forest and elsewhere has shown that in fact, an overall reduction in traffic of around 15% can be expected as fewer people choose to drive local journeys, with only a manageable rise on main roads; but Transport for London is not known for taking risks. On Monday 5 March we had the privilege of facilitating a Better Streets for Enfield meeting for local residents, mainly (but not exclusively) from Warwick and Brownlow Roads, to discuss the vision of an LTN for Bowes. They turned out to be a great bunch of people, with committed and dynamic resident group leaders. There was lots of hope and plenty of discussion (and listening) in the room, and the sense that people are starting to agree on a common vision for their area – not, of course, that anyone thinks it will be achieved overnight. Paul Gasson, an award-winning campaigner who has been instrumental in Waltham Forest’s Mini Holland, pedalled over to give a really inspiring presentation about the transformation of neighbourhoods in his borough. There was an audible gasp in the room when he showed before and after pictures of Orford Rd E17. After the presentations there were, as you can imagine, plenty of questions. How much did this cost, how long did it take, what are the best ways of engaging with the council? The main lesson we took from his talk was the important role campaigners have played in engaging with the council and community in Waltham Forest. They kept their message to the council positive, seeing councillors not as the enemy but as people who genuinely want to make a difference. Rather than bashing the council for what they are doing wrong/not doing, campaigners recognised what was done well in the past, and said, “Here are the things you can do now that will make life better.” Coupled with courageous council leadership, that has become a very fruitful partnership. We felt there were lots of lessons there for us. This would have to be a grassroots, resident-led campaign with a long road ahead (so to speak), although ward councillors are already sympathetic; Cllr Brett has long campaigned for better air quality in the area, and is keen to come on a tour of Waltham Forest. Cabinet member for Environment, Cllr Anderson, has said he is open to solutions that his officers deem workable, but sounded a strong note of caution about funding and the complexities of cross-borough working. Yet even if it’s a long way off and involves a million more meetings, we can honestly picture a very different future neighbourhood in Bowes – a neighbourhood where you’d actually want to hang out on the street.